Maria Moreno talking with Old Okies. Maria Moreno taking a break from working the fields. Maria Moreno, seated, taking notes. Laurie Coyle in Karnes City filming Adios Amor. 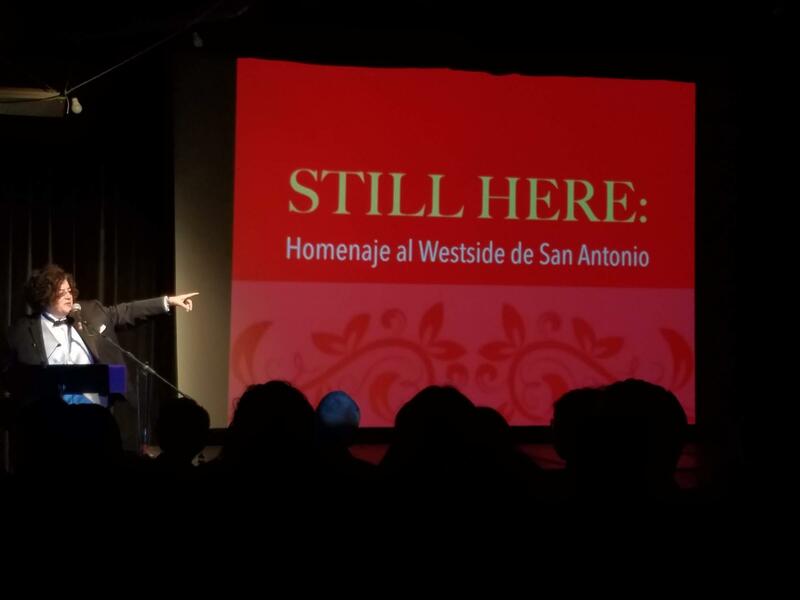 Graciela Sanchez, director of the Esperanza Peace and Justice Center, speaking at the Still Here event at the Esperanza. 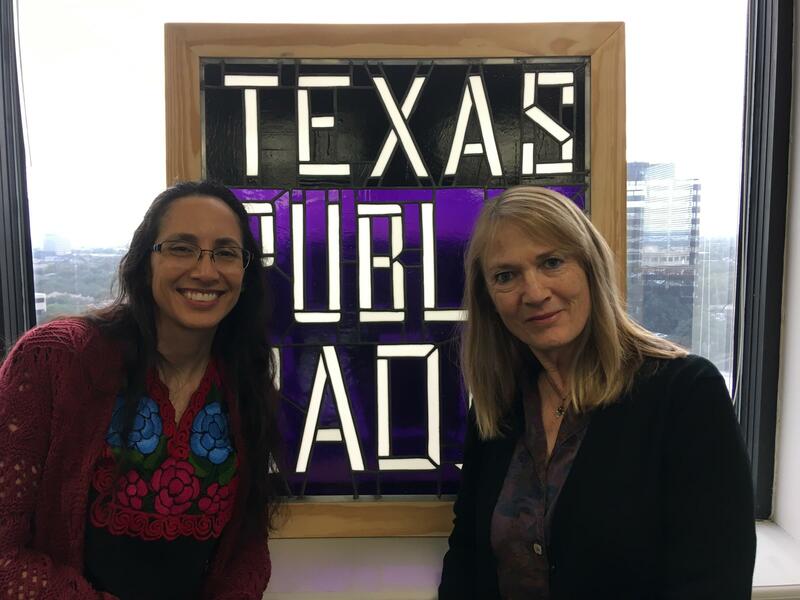 Laurie Coyle (right), a documentary filmmaker and writer, in the TPR studio with Norma Martinez (left) to discuss Coyle's new documentary "Adios Amor: The Search for Maria Moreno." The names Cesar Chavez and Dolores Huerta will forever come to mind when we think of the farm worker movement. In 1962, they founded the National Farm Workers Association — which later became the United Farm Workers of America — and it was the first successful farm workers union in America. But Chavez and Huerta were not the only ones, or even the first, to fight for farm workers’ rights. Maria Moreno was a mother of 12 and a devout Pentecostal. But it was her hard work in the fields that caught the attention and admiration of her Mexican-American, Filipino, African-American and Okie farm worker peers. They selected her as their representative, making Moreno not only the first female organizer of the Agricultural Workers Organizing Committee, but the first female leader of a farm worker union in the U.S.
Lourdes Pérez, musician, composer, poet, and creator of "Still Here: Homenaje al Westside de San Antonio" stands before a crowd to present her work at the Esperanza Peace and Justice Center. The West Side of San Antonio is predominantly poor and Hispanic, but many of its residents couldn’t imagine living anywhere else. In a new book of song collaborations, some of the area’s oldest residents shared their experiences, memories, and love for their neighborhood.